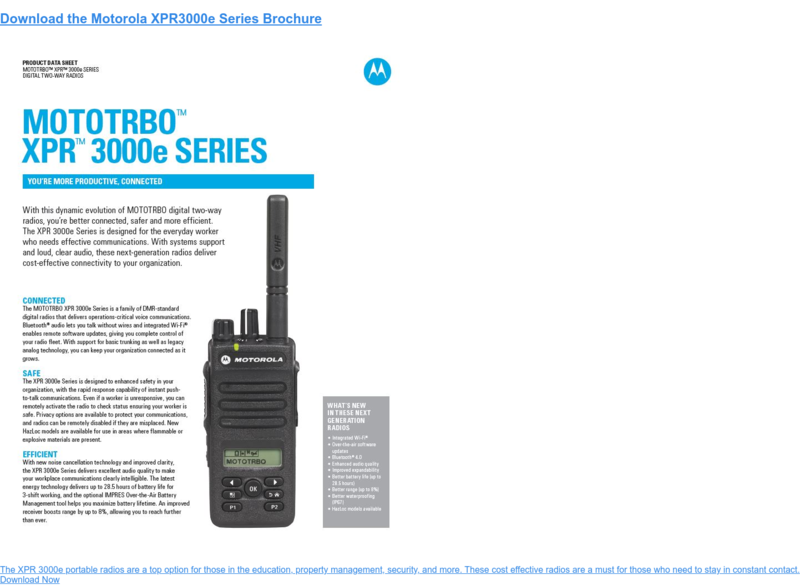 The Straight Goods: MotoTRBO XPR3300 (non-display) and XPR3500 (display) devices combine two way radio functionality with the latest in digital technology. These versatile, powerful two way radios are also completely scalable and function in both analog and digital modes. Ideal Use Case: Ideal in a wide range of applications including manufacturing, warehousing, schools, retail, hospitality and more. Nova Communications offers 2 way radio solutions to a wide variety of businesses, both big and small. Contact us today to see how we can help you stay more connected, or download the FREE Portable Two Way Radio Selection Guide for more information on determining which device is right for your business.